When me and my wife were not yet married this was one of our favourite street food, we always buy them outside the church we usually visit together with kwek kwek and deep fried squid balls. This street food is quite new compared to the others as I never saw this when I was younger and only showed up during the late 90′s. It is a simple deep fried spring roll pastry filled with soft cheese called quick melt dipped in a sauce made out of mayonnaise and ketchup. Wrap cheese in spring roll pastry; make sure it’s totally sealed so cheese won’t go out when frying. Prepare a wok with enough oil for deep frying, once oil is hot drop wrapped cheese and cook until pastry turns golden brown. Make sure oil is hot enough so pastry does not cook too long and absorb a lot of oil. Set cooked cheese sticks aside. Mix together mayonnaise and ketchup, ratio should be one is to one. Serve this as the dipping sauce for the cheese sticks. So.. you mean to use Won Ton Wrappers? I never considered won ton wrappers and egg roll wrappers as “pastry’, but rather as pasta squares. Can I use a half a won ton wrapper? I’m assuming I need to use an egg wash to glue the won ton closed like when I make Pot Stickers? Non the less your recipe sounds delicious. Not wonton wrappers but spring roll wrappers, and yes if its large you can use half. Oh I how I want some of these right now!!! I’m sure you have to be careful of the cheese being hot, but a little mouth burn would be well worth it! 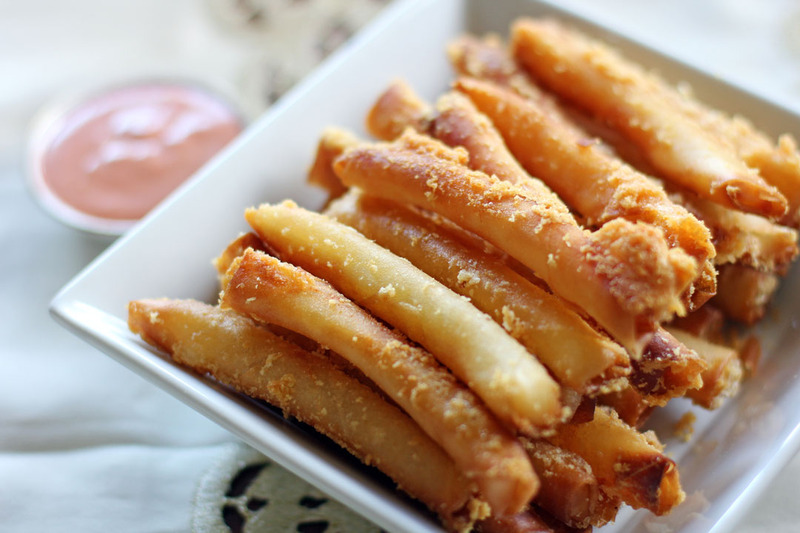 These look delicious and very different than our fried cheese sticks. The use of spring roll wrappers is clever! Uy, favorite din namin to dito sa bahay. When we’re lazy to cook, we just buy from our neighbor kaya lang yung tinda nila parang invisible yung cheese..LOL! 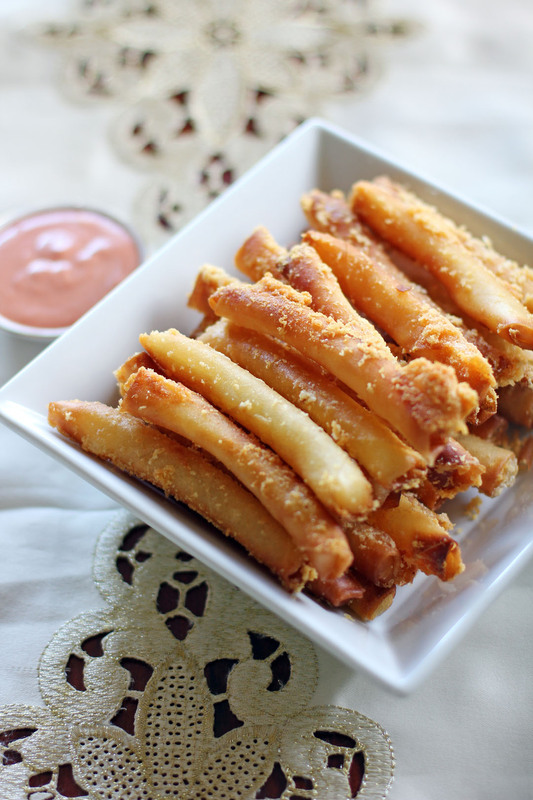 Cheese sticks or cheesey heaven! This is definitely what I would call this and I think there’s a lot of opportunity for delicious flavour pairings here! Love the idea of this being dipped with Nutella too, (I know, I’m wacky & weird!) looks yummy Raymund! When I have leftover spring roll wrappers, I add cheese and make something like this (but usually different shape). I’m going to try the string cheese next time!! Wooooowwww Ray, that sounds delicious ! Who doesn’t like fried cheese ? ?